A smile is the first thing people notice, and a positive change in a person’s smile often leads to increased confidence and happiness. Dr. David Lofters has practiced orthodontics for over a decade with the satisfaction of knowing that he is helping to make a positive difference in his patients’ lives. Dr. Lofters loves his profession and believes that his enthusiasm for his work rubs off on his patients. After all, he is a “smile maker”! Dr. Lofters’ passion for the art and science of orthodontics began during his formal education. He attended Oakwood College in Huntsville, AL, for his Bachelor of Science degree, majoring in biochemistry. Both his Doctorate of Dental Surgery and orthodontic certificate were completed at Howard University College of Dentistry. 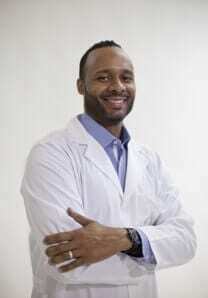 A native of Toronto, Canada, Dr. Lofters currently resides in Marietta with his wife and two sons. His free time is spent watching basketball and being a role model to the youth in his community.